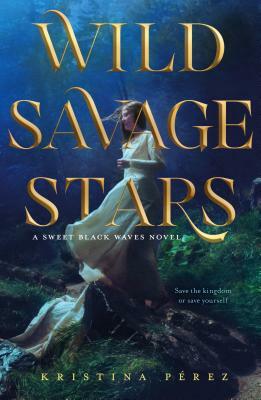 Inspired by the legend of Tristan and Iseult, Kristina Perez's Wild Savage Stars is the spellbinding sequel to Sweet Black Waves. Branwen has a secret powerful enough to destroy two kingdoms. Her ancient magic led to a terrible betrayal by both her best friend, the princess Essy, and her first love, Tristan. Now this same magic is changing Branwen. Adrift in a rival court, Branwen must hide the truth from the enemy king by protecting the lovers who broke her heart—and finds herself considering a darker path. Kristina Pérez is a half-Argentine, half-Norwegian native New Yorker who has spent the past two decades living in Europe and Asia. She holds a PhD in Medieval Literature from the University of Cambridge and has taught at the National University of Singapore and the University of Hong Kong. Sweet Black Waves is her debut novel.